The new floors have now been laid. 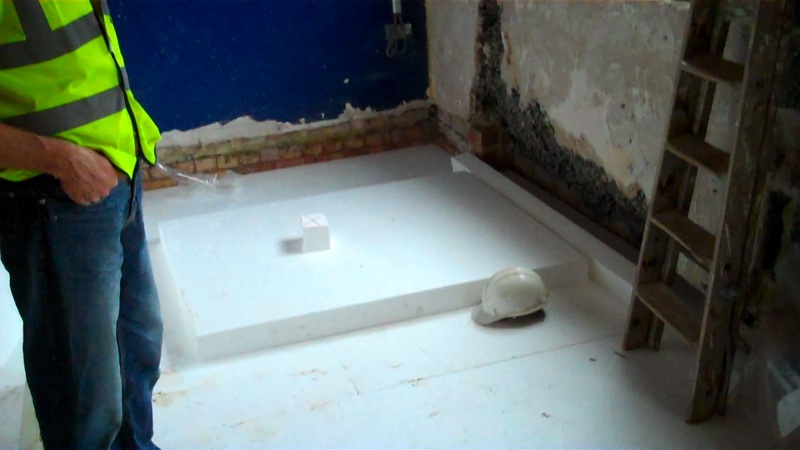 The floor slab is 150mm of dense concrete, which sits on top of a new layer of insulation which is 250mm thick. Around the side of the floor slab is 50mm of edge insulation. 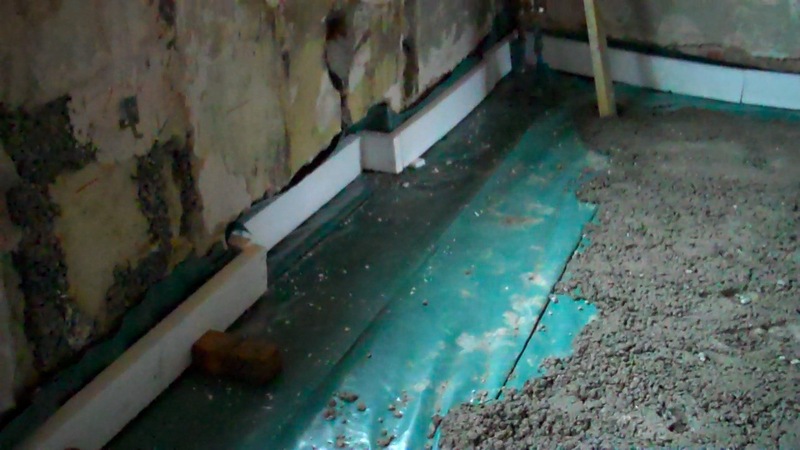 The new floor slab will act as a heat store to help keep the house warm through winter, with heat loss from the slab to outside of the house minimised by the insulation below and around it. The heat then only has one way to go; back into the house as the air temperature drops below that of the floor. In summer the floor slab will act in reverse as a cooling mechanism, because as the air temperature rises above that of the floor, the excess heat will be absorbed into the dense concrete. The mass of the original solid walls will act as a heat sink in a similar way, helping to cool the house in summer and heat it in winter, once it is fully encased in insulation, which is the next major phase of the retrofit.